First Person Do I really want (or need) a digital assistant? Do I really want (or need) a digital assistant? First Person is a daily personal piece submitted by readers. Have a story to tell? See our guidelines at tgam.ca/essayguide. Just as I was dozing off for a routine midafternoon nap, the sound of three beeps gradually roused me back to wakefulness. In that murky twilight zone between dozing and daylight, I struggled to determine whether the beeping signalled the end of the dishwasher cycle or my dog’s need to go outside for her, um, refreshment. These days, everything – animate and inanimate – beeps in my house. Three short beeps at medium frequency means my toast has popped up. Three medium-length beeps that refuse ever to shut up means dishes are ready to be removed from the washer and put away. Two long beeps, followed by a short one and then by another long one indicates the Canadiens have lost another hockey game. There are lots of these. Then, there are chirps. Our smoke-detector alarms chirp when their batteries run down. Have you ever succeeded in locating a smoke alarm when it starts chirping? Neither have I. This becomes an urgent matter, especially when the chirping makes your dog so frantic that she can no longer contain herself. Meanwhile the chirping continues, volume rising and fading as you get closer and then farther away, never actually finding the alarm in question. So you now have three problems: first, finding the alarm that you suddenly start describing with a string of impolite adjectives reflecting connotations that mix religion with bodily activities and substances. Then, you need to replace the worn-out battery. Finally, you need to calm down a dog who, if you open the back door, will run frantically outdoors, never to be seen again. Speaking of language, recently Google Mail added a nifty feature that frees users from the irritating burden of needing to answer messages in their own words. For example, I just received a request from a friend for the use of my garage space for storage. At the bottom of the friend’s message appeared three little text boxes, each one, respectively, containing friendly affirmations such as, “Sure thing!” “Got it!” and “No problem!” Just press the box that best suits the intent of your reply and – presto! – off goes your prefabricated response. No reflection on your part is required, either about the words needed to convey thought or about the situation of the friend who sent the message. Gee thanks, Google Mail! You just saved me a few nanoseconds and Lord knows how many brain cramps. This got me thinking (an activity Google clearly wants to suppress). I thought about what text choices Google might offer if some unfortunate friend had sent a message announcing the death of a dearly loved one, a grave illness or a catastrophic accident. If one’s nearest and dearest has just passed away, what better way to console the grieving soul than “Whoa, bummer!”? It’s concise and unambiguous. It adds the bonus of avoiding that awkward struggle with wordplay to convey the appropriate sentiment during a most delicate life passage. Some of us worry about the face we present to the world as we actually move through it. As though we don’t already have enough of a challenge shoring up our physical self-respect, the Amazon Alexa digital assistant now offers Style Check to free its most advanced cybernauts from the terror of setting foot outside their front doors uncoached. You see, the latest-generation home digital assistants feature built-in cameras that can snap photos of you, then feed them into cloud-resident giga-servers that, in turn, connect to supercomputers running algorithms that instantaneously feed you back a dreaded assessment of the daily style statement you have selected for yourself. Seriously, Alexa Style Check will tell you whether you should roll up your shirt sleeves, apply more or less eye shadow, turn your collar down or tilt your hat slightly rightward if you hang out with conservative types at Wildrose parties or leftward if you’re strictly NDP or Green. Either way, the reward is that you don’t have to think. All you need to do is throw on some duds, make yourself up and step into the Alexa camera view frame. Then, mirabile dictu, Alexa Style Check does the rest! Previous generations who had the sorry misfortune of living in cyber prehistory relied on a quaintly older technology now roundly disparaged as “the mirror,” as outrageous a proposition as washing dishes by hand with soap and water. The problem was that the information that mirrors led you to believe about yourself was inevitably and unacceptably false. Mirrors themselves don’t lie, but your interpretation of their reflected images does. Based on such false data, mirrors then mandate you to make your own decision about how you should rearrange yourself to cut a figure consonant with prevailing street-style credentials. The screw-up potential is as boundless as it could be damaging to self-esteem. We’re only now taking baby steps in our all-expenses-paid (by us) excursion to techno-paradise. 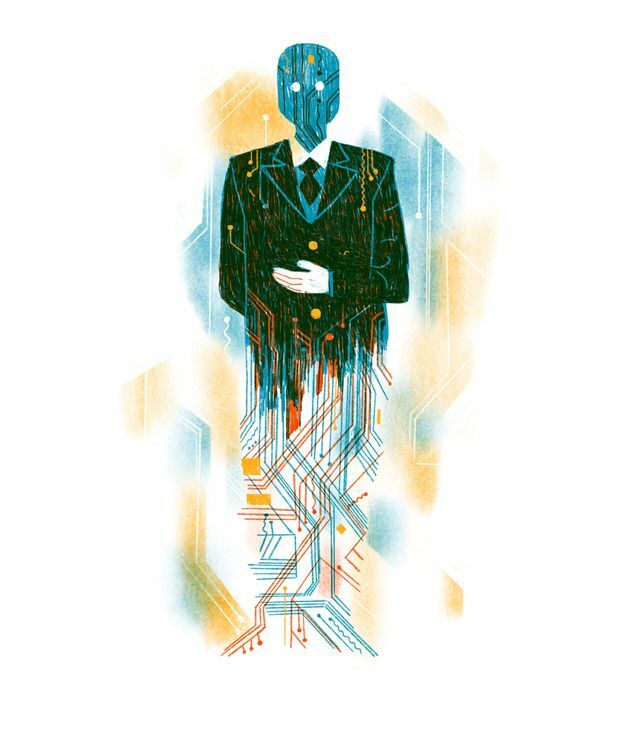 Call it “cybervana.” Beeps tell us what to do, and when; cloud-based algorithms provide daily style coaching; and we end up more nervously addled than we were before computers were even invented. Embrace the future, friends! But check with your dishwasher or Alexa before you do. John LeBaron lives in North Hatley, Que.